Proudly serving the Greater Baltimore Metropolitan community since 2010! Get in shape while improving your self-confidence and focus. Learn realistic, practical and effective training methods to sharpen both the mind and body. Our classes are firmly committed to "Hands on Training", specializing in the teachings of Okinawan Karate (Ryukyu Kempo). We focus on cooperative training that allows a student to build confidence with simple, effective self-defense skills that are accessible, even under stressful conditions, regardless of experience. SELF PROTECTION STRAIGHT TO THE POINT; LEARN IT, DO IT, TEACH IT! Experience the thrill of self-discovery in a safe, fun & nurturing learning environment. Learn the Classical Okinawan Art of Ryukyu Kempo! Explore Kata forms deeper meanings! Develop realistic self-defense methods structured from simplistic principles that anyone can apply regardless of age, gender or physical ability. Changing lives, one student at a time; Learn it, Do it, Teach it! Highly qualified and knowledgeable hands on instruction. 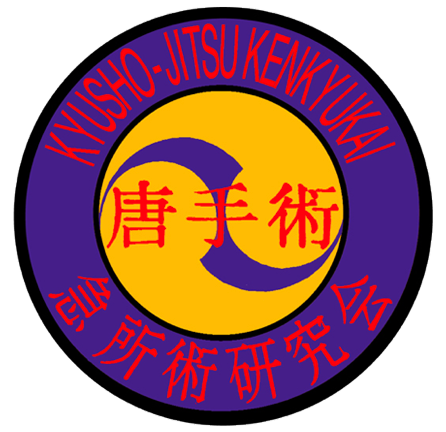 I have been training at Maryland Kyusho Concepts for about 1 ½ years. I have grown significantly in my understanding of martial arts from Sensei Bast. At MKC you start learning self-defense applications immediately with your Kata which gives you a far greater appreciation and understanding of the forms and the art. I have learned more self-defense during my time with MKC then what I acquired in total at a previous school getting a black belt. You earn your belt ranks at MKC and can wear them proudly. Sensei Bast and Williamson are knowledgeable, challenging, encouraging, caring, and most of all fun to learn from. You can’t ask for more dedicated instructors. Master Bast provided a corporate training for my Agency on self awareness. His honest and engaging teaching style captivated the participants. His message and techniques are very practical, highly effective, and memorable!!! If you're looking for a self defense class that actually teaches techniques which may be learned quickly and applied to real world situations, this is the place for you. This karate school is about "doing it". There are no meaningless belt promotions or certificates just for showing up for class. You have to earn it. Master Patrick and Sensei Matty participate in every class and they are constantly challenging the students to take it up to the next level. Most importantly, they make it clear from Day 1 that the goal is self-defense. They want to make sure their students never become a victim. So unlike other martial arts schools (and we've tried 2 other schools), in addition to the forms, they start teaching self-defense techniques (applying the forms to real life situations) from Day 1. These skills and techniques easily allow you to disable a person twice your size. I can't say enough great things about this school and Master Patrick & Sensei Matty. We offer a variety of workshops that can benefit your organization. MKC workshops give a better understanding of strategic anatomical targeting self defense techniques.